Shopping in Mexico - Shopping in Mazatlan! Throughout the city, various street vendors will be displaying their wares. Don't forget to visit the central market! Souvenirs are abundant - t-shirts, hats, small wooden sculptures, keychains, and oversized Mexican sombreros are all very popular. Feel free to bargain a little bit about the price - it's expected. A fun place to go is the open-air used goods bazaar - "Los Tiangis." Located in the Juarez, they are open every Sunday morning very early. You can buy pretty much anything you want here, but be careful about buying things too big to fit on the airplane. If you would like to take home a piniata with you, make sure you choose a small one. Most medicines are available here from any pharmacy without a prescription at a very good price. You can find such items like IB-profin, retin-A, and others. However, be sure to use extreme caution when self-medicating. Liquor is generally cheaper here, and you can find some brands that aren't available in the states. You can only take back up to a liter duty-free to the US or Canada, so make sure you get plenty of drinking done before it's time to go back! 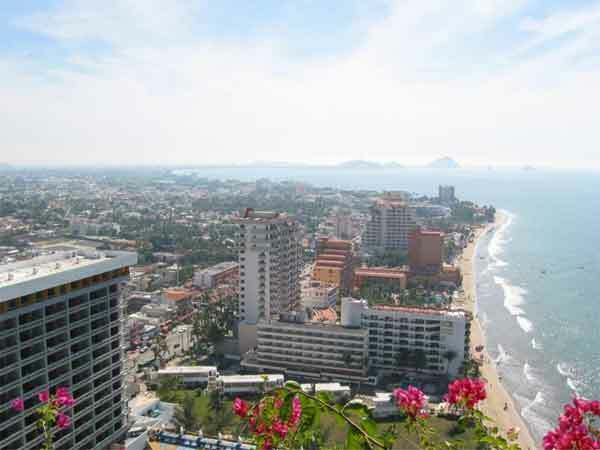 Mazatlán shopping runs the gamut from precious stones to seashells--with plenty of T-shirts in between! Most stores are open Monday through Saturday from 9 or 10am to 6 or 8pm. Very few close for lunch, and many stores are open on Sunday afternoon. La Zona Dorada is the best area for shopping. For a huge selection of handcrafts from all over Mexico, visit the Mazatlán Arts and Crafts Center (tel./913-5022), at calle Gaviotas and Loaiza, open from 9am to 6pm, but note it's a cash-only place. The nearby Sea Shell City (tel./913-1301; AE, MC, V) is exactly what the name implies-more shell-covered decorative items than you ever dreamed could exist, from the tacky to the sublime. Open daily 9am to 8pm, it's located between Las Garzas and avenida del Mar on avenida Rodolfo T. Loaiza. Gallery Michael has an excellent selection of Tlaquepaque crafts and fine silver jewelry. It is near the Dairy Queen at avenida Las Garzas 18, just off avenida Camarón Sábalo. Open daily 10am-6pm, no credit cards. With more than 60 stores around the world, Diamons International has a store in the Golden Zone, they warranty the best and same prices all over the world. Diamonds are tax free in Mexico ! Fine jewelry can be found at Pardo Jewellers (tel. 914-3354), located on avenida Playa Gaviotas 411 (open Mon-Sat 9am-6pm; AE, MC, V), as well as at Rubio Jewellers (tel. 914-3167), in the Costa de Oro Hotel, avenida Camarón Sábalo (open Mon-Sat 9am-6:30pm; AE, MC, V). Shops throughout the Gold Zone have a good selection of name-brand clothing, fabrics, silver jewelry, leather, art, and Mexican crafts. The Mercado del Centro in Old Mazatlán is another kind of shopping experience. Here you'll find women selling fresh shrimp under colorful umbrellas; open-air food stalls; and indoor shops stacked with pottery, clothing, and crafts (mostly of lesser quality). Small galleries and shops are beginning to appear in Old Mazatlán; one of the nicest is NidArt Galería (tel. 981-0002), on avenida Libertad and Carnaval, next to the Angela Peralta Theater. Open Monday through Saturday from 10am to 2pm. Nidart is a unique exhibition space that display the creation of it's different workshops along with the works of artists and artisans from various regions of Mexico. Located in a XIX century house in Old Mazatlan offers you masks, faces and scuptures in leather and clay and leather figurines. 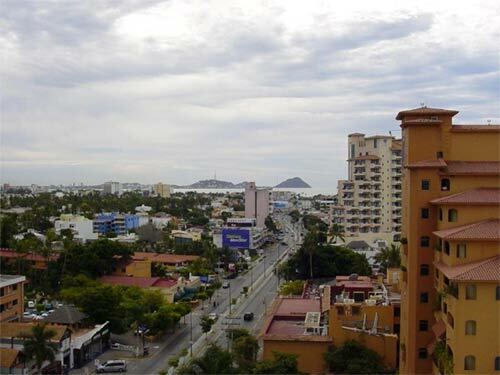 La Gran Plaza is a large shopping mall just 3 blocks inland from the waterfront on avenida de los Deportes. The plaza has a large supermarket, department stores, and specialty shops--a good place for buying basic items. It's open daily from 10am to 9pm.